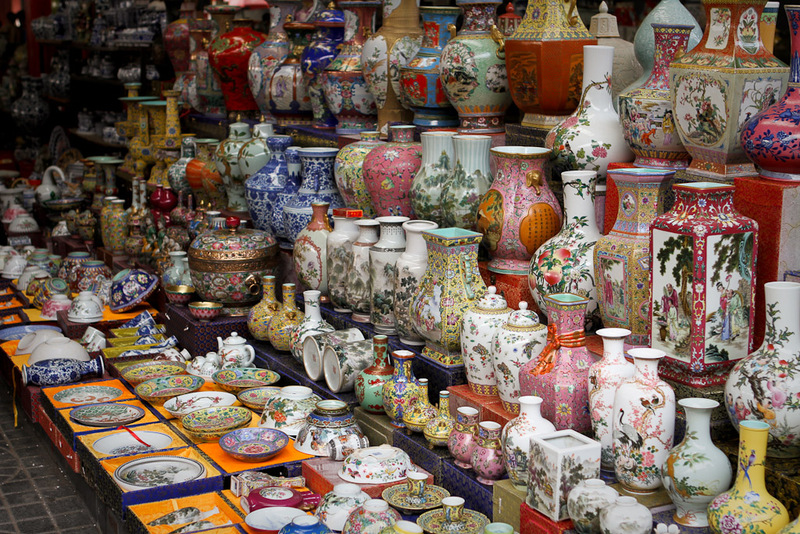 There were two isles of Chinese porcelain that must have contained thousands of vases, bowls and other bits and pieces. The strangest phenomena at the market was definitely the half-dozen stalls selling walnuts as stress balls. 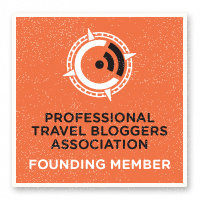 If any other travelers know what this is about, let me know. 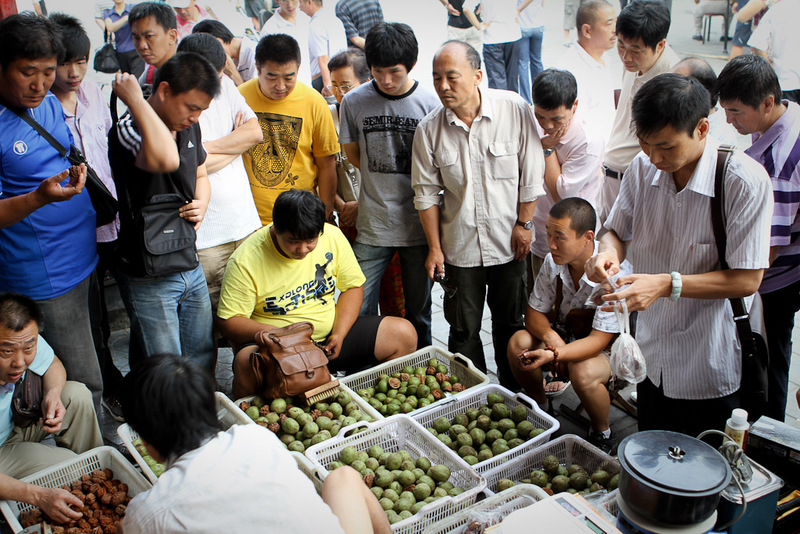 Here, a group of enthusiasts looks on seeking the perfect pair of walnuts. 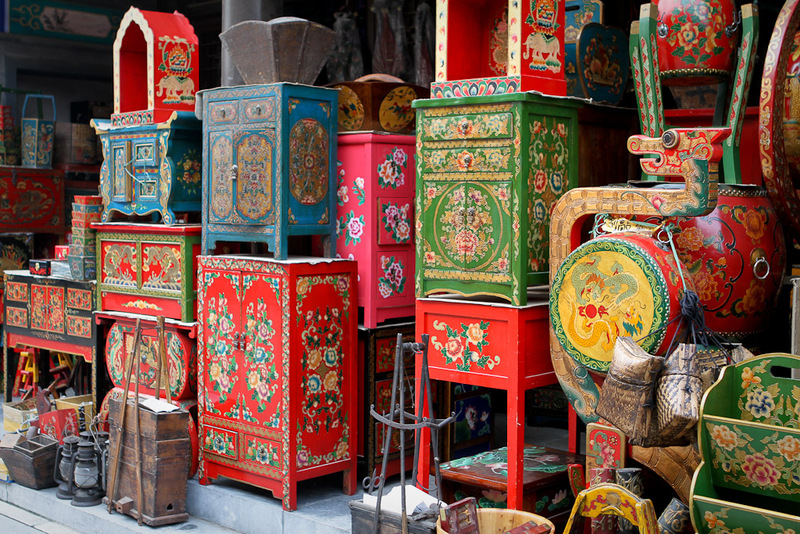 Colorful chests and drums on the sidewalk outside one of the permanent vendor's shops. 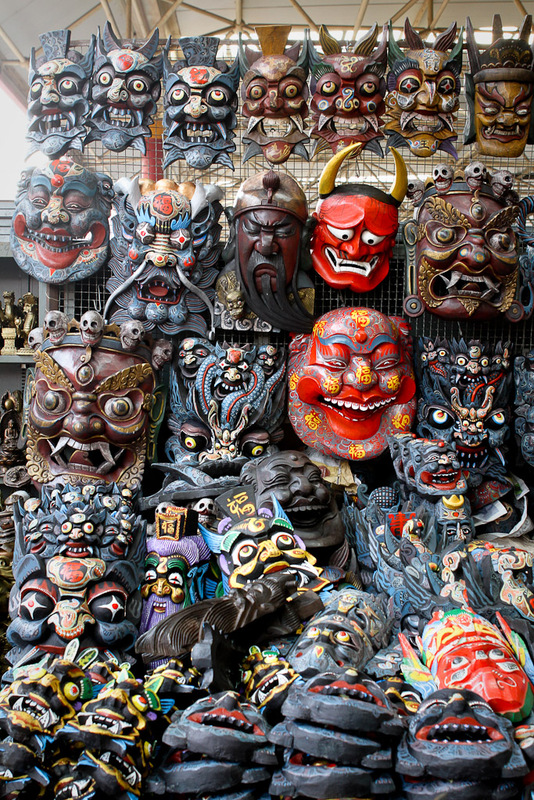 Another popular item throughout the market, I wonder if these colorful wooden masks are used in some event or are just for decoration. 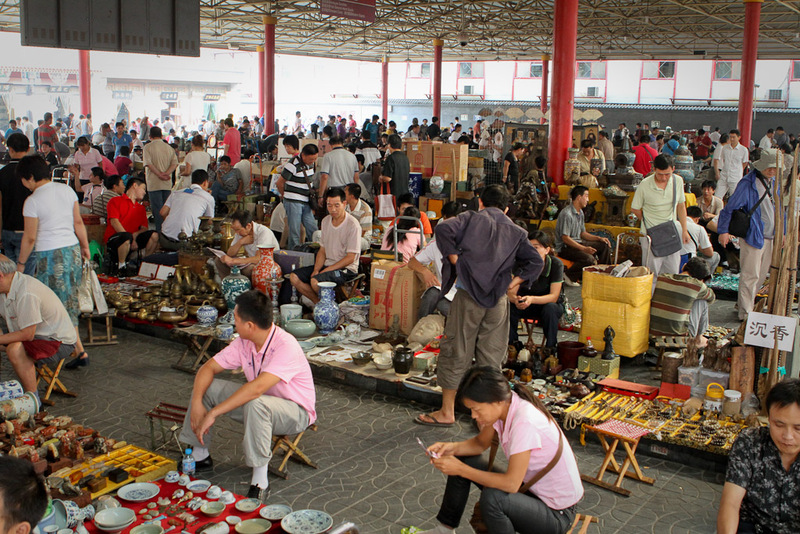 A different area of the market focused on art and paintings. 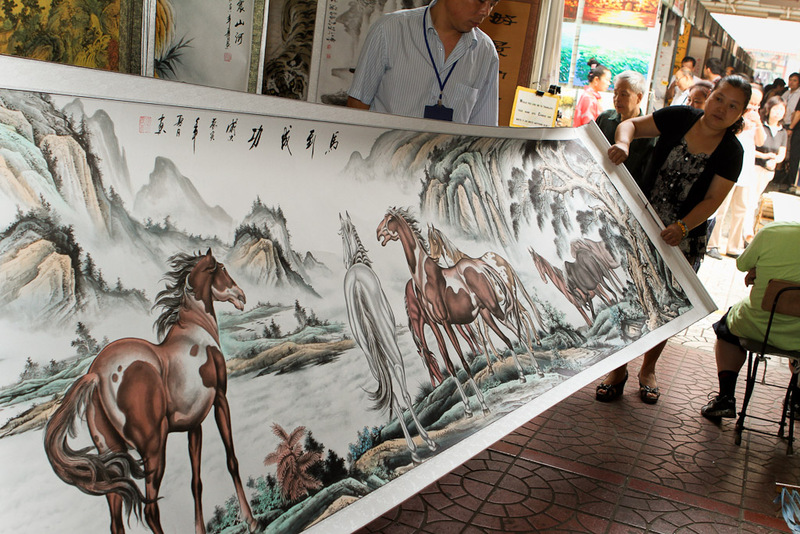 Here, you see a landscape containing horses unrolled for a perspective client. 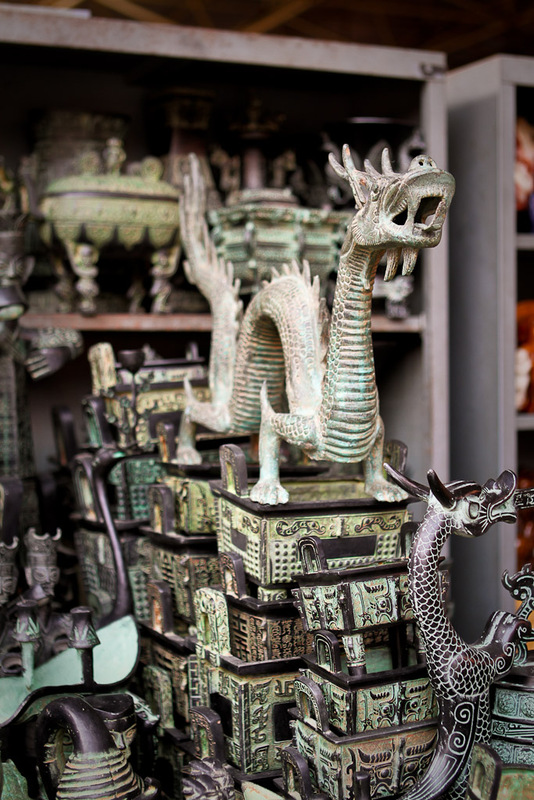 For flashpackers seeking souvenirs, you can't find a better spot to buy art. 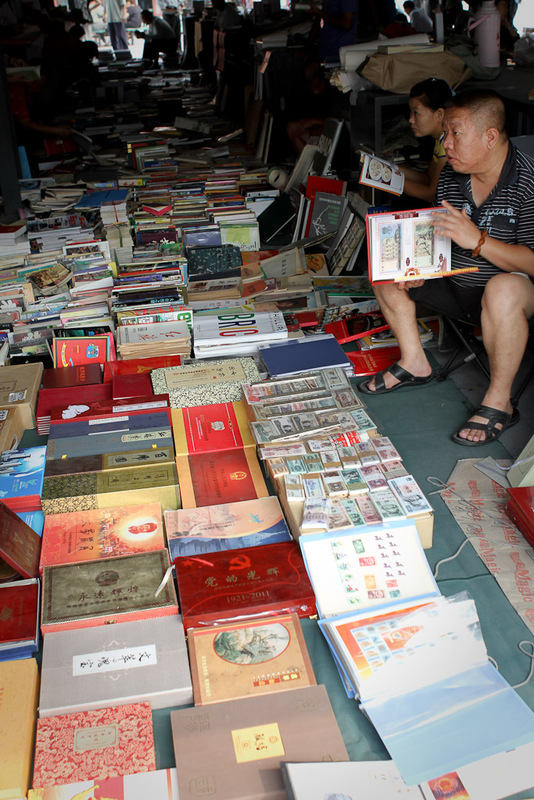 This trader, specializing in stamps and currency, considers purchasing this item from a market attendee. 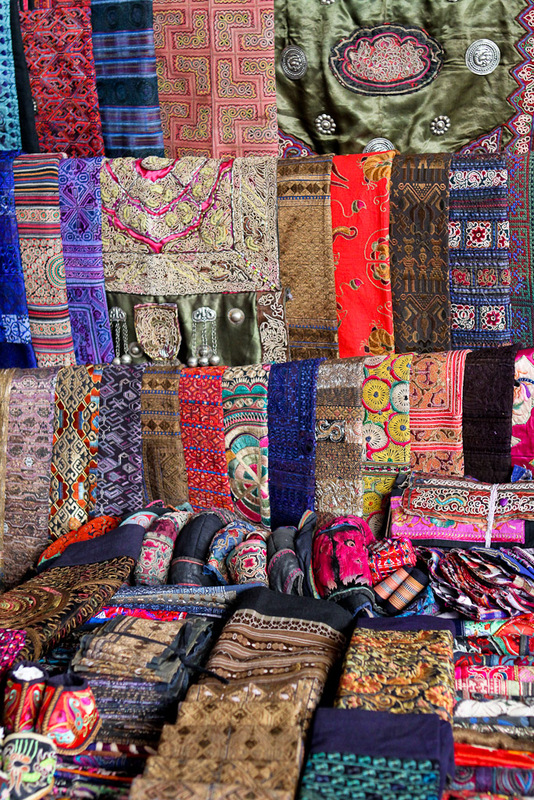 A selection of Chinese textiles. 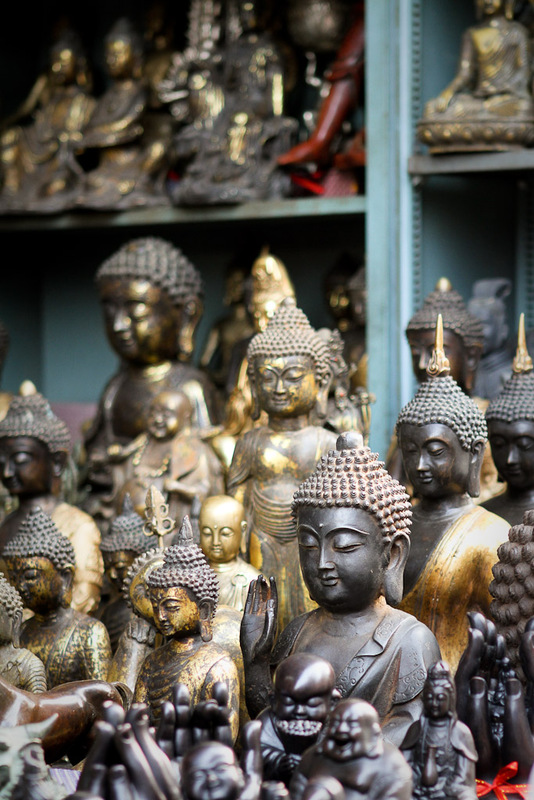 Travelers moving through Southeast Asia will see many opportunities to buy local textiles just like this. 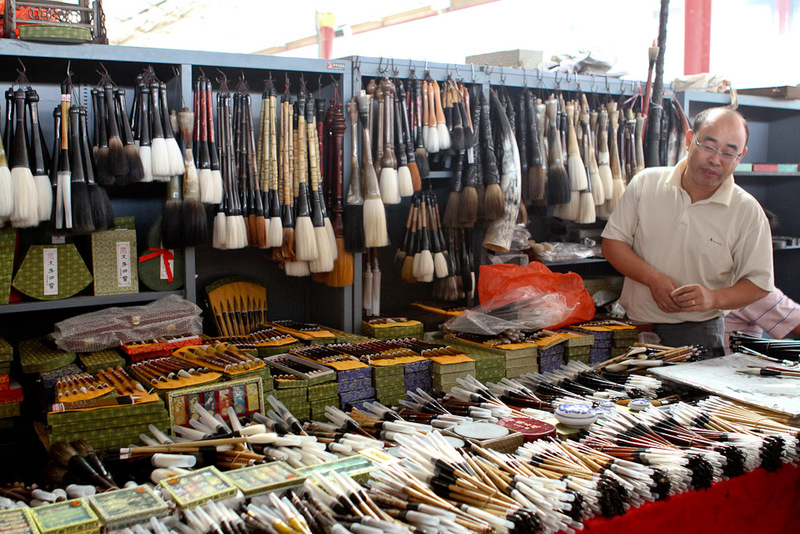 This trader at the market specializes in paintbrushes of all shapes and sizes. 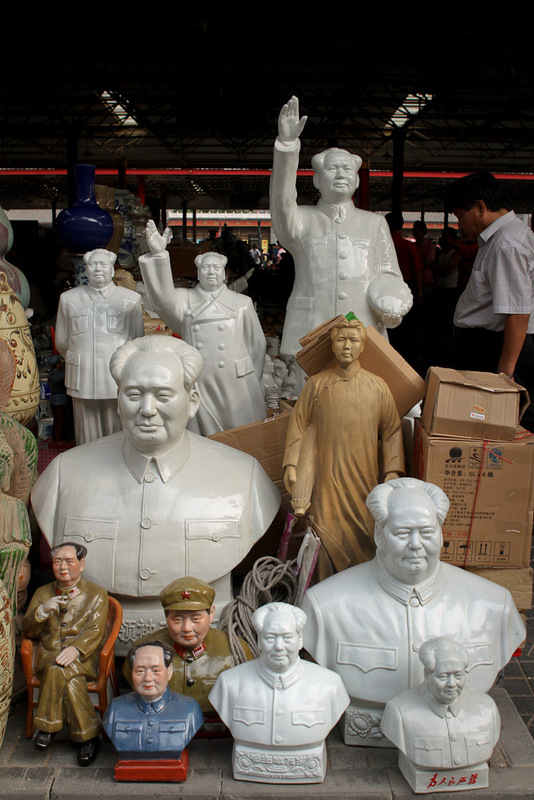 Statues of Chairman Mao, whose tomb, coincidentally, is also located in Beijing and is already on the list of things to see for many flashpackers.